Every parent loves for the kids to get free backpacks, school supplies and other goodies for back-to-school. So why not immunizations? The best choice is to have the children vaccinated by your family doctor. 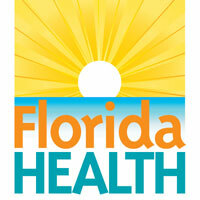 But if that is not possible, county offices of the Florida Department of Health (DOH) are offering free immunizations. DOH-Broward will offer them again at Lauderhill Mall from August 1 – 17. Skipping shots matters. In South Florida and around the U.S., a few unvaccinated children have come down with diseases that previously were virtually eradicated, such as measles, mumps, chickenpox and whooping cough. Under Florida law, children cannot start school unless they receive all vaccines against nine contagious and potentially fatal childhood diseases. School shots are especially important for children entering kindergarten and seventh grade, because different requirements begin at those grade levels. – Diphtheria, tetanus and pertussis (whooping cough) – 4-5 doses of DTaP for babies and pre-schoolers. 1 booster dose, TDaP, before seventh grade. – Polio – 3-5 doses for babies and pre-schoolers. – Measles, mumps, rubella (German measles) – 2 doses of MMR for babies and pre-schoolers. – Varicella (chickenpox) – 2 doses for babies and pre-schoolers. 1 booster dose before seventh grade. – Hepatitis B – 3 doses for babies. Parents are encouraged to consider additional vaccinations not required for school but recommended by federal health officials. These include vaccines against flu (yearly starting at age six months), rotavirus (3 doses for babies), Haemophilus influenzae B (3-4 doses for babies), pneumococcal disease (4 doses for babies), hepatitis A (2 doses for babies), human papilloma virus (2-3 doses starting at age 11) and meningococcal disease (2 doses starting at age 11). DOH-Broward – Free school shots are given at two Department health centers (appointments (954) 467-4705). Also, Mondays through Fridays from 9 a.m. to 2 p.m. on Wednesday, Aug. 1 through Friday, Aug. 17 at Lauderhill Mall, 1267 NW 40 Ave. Evening hours from 4 to 7 p.m. are set for Thursdays Aug. 2 and 9, and Mondays Aug. 6 and 13. An immunization and family fun fair is set for Saturday, Aug. 11. Free vaccines for HPV and meningitis will be available. Information at http://broward.floridahealth.gov/programs-and-services/clinical-and-nutrition-services/immunizations/index.html. DOH-Palm Beach – Free school shots at Department health centers (appointments (561) 625-5180 or 840-4568) and on board a mobile van. Information and van schedule at http://palmbeach.floridahealth.gov/programs-and-services/clinical-and-nutrition-services/immunizations/index.html. DOH-Miami-Dade – Free school shots at three Department health centers (appointments (786) 845-0550). Information at http://miamidade.floridahealth.gov/programs-and-services/clinical-and-nutrition-services/immunizations/clinics/index.html.